Asheville, NC’s Kellin Watson Performs “Chains of Love” Live with Jam in the Van! Live with Jam in the Van! Music goes until Midnight followed by a dance music DJ Afterparty! Kellin Watson will have a few special guests for the evening including, Sarah & Christian Dugas of The Duhks, Zach Blew , The Business, and local favorite Mary Ellen Bush, along with a few other surprises (; Lots of talent on one stage! 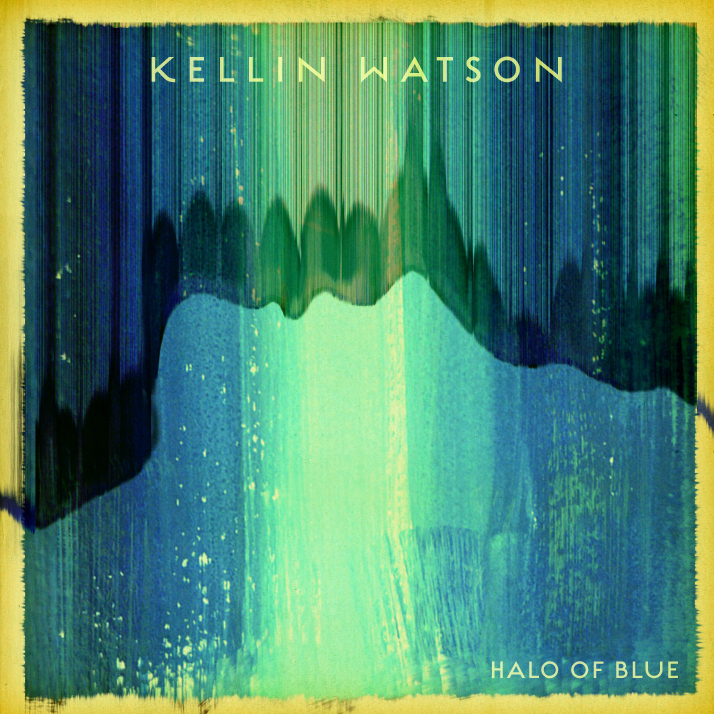 Kellin Watson is a internationally-touring singer-songwriter, whose award-winning sound blends elements of blues, pop, folk, and soul. 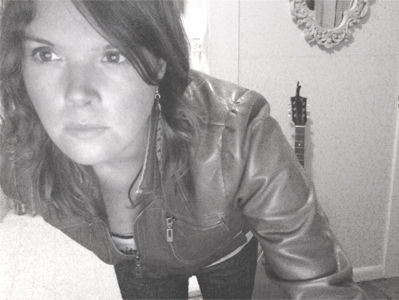 Hailing from Asheville, NC, Kellin draws on her Appalachian roots to bring both power and rawness to her music. “There are a lot of common talents in the world, but there are very few rare talents. I feel that Kellin is a rare, uncommon talent. Her songs have the ability to take someone gently by the wrist and tell them a story…” states Billy Corgan of The Smashing Pumpkins. Courtney Devores with The Charlotte Observer describes her, “Jazzy soul and swinging pop comparable to Fiona Apple or a less folksy Ani DiFranco, Watson has an endearing stage demeanor and a killer voice, not to mention soulful songs that don’t fit in any particular box.””Halo Of Blue” was created with musician/producer Michael Bellar [Art Garfunkle, and Amos Lee] out of Manhattan, NY and was recorded in New York, New Jersey, Connecticut, and Asheville. Kellin and Michael worked non-stop this past year to put out a simple, honest and stripped down recording with echoes of some of her strongest influences: Sam Cooke, Otis Redding, and Nina Simone. The album has 14 tracks and features cameo’s from some of the greatest musicians and vocalist in North America, including Sarah and Christian Dugas (The Duhks), and Oliver Wood (The Wood Brothers). Sarah & Christian Dugas will be opening the evening with an acoustic set as well as joining Kellin on backup vocals for the occasion. They also make an appearance on “Halo of Blue.” Though these two Dugas siblings have made quite the sound waves each in their own right, you always know that when they are apart, it’s only temporary. Sure enough, in 2007, their respective joining of the Canadian Juno-winning and Grammy-nominated, The Duhks, was staggered over a mere couple of seasons. Hailing from the French quarters of Winnipeg, Canada, they grew up on a varied regimen of vinyl records, courtesy of their musician parents. While never denying their wide-ranging musical tastes, they vicariously immersed themselves in Southern music and this unmistakable connection expanded into a full-blown musical path. They have since shared the stage with the likes of John Paul Jones, Los Lobos, The Dirty Dozen Brass Band, The Wood Brothers, The Blind Boys of Alabama, Arrested Development and the Zac Brown Band to name a few. As international touring and session musicians, Christian and Sarah have held on to the dream of launching their own project… Still deeply rooted in Southern music and culture, their sound draws from Roots, Rock and old school Soul. They bring a hard-hitting, dynamic and heart-felt energy to their diverse original compositions, improvisations and a few chosen covers – all of it, delivered with the awe-inspiring vocal and musical chemistry only seen amongst siblings. 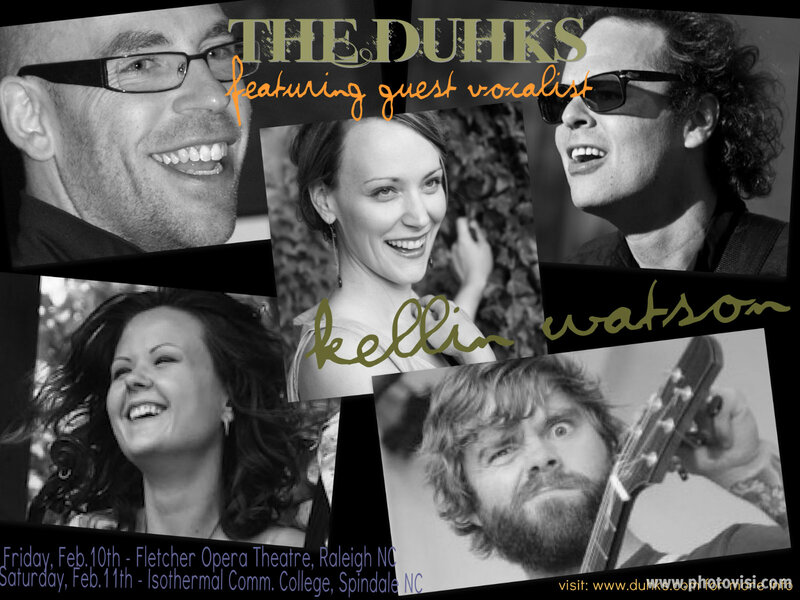 Mary Ellen Bush will be singing back-up vocals with Kellin for the CD release. Mary Ellen Bush has been a part of the Asheville music scene since 2002, when she and her group Ménage first took the town by storm. She has a powerful, soulful voice that is often compared to Steve Nicks. She is also a talented and prolific songwriter who may be seen strumming the guitar, but really wows people when she plays her upright bass and harmonica at the same time. When on stage, she is captivating as she throws her whole body into whatever song she’s belting. Over the years, Bush has appeared with many different groups in a wide range of genres, from 1930s jazz to rock to old-time. Many of her projects include vocal harmony, mostly three part. Bush is appreciated for her vocal strength, unique sense of style, exceptional ear and her sassy, raspy voice and has thus been called upon to record backing vocals with many bands over the years, such as G Love and Special Sauce, The Avett Brothers, Ben Lovett, Stephanie’s id, Strut, Woody Wood, Yo Mamma’s Big Fat Booty Band, The Firecracker Jazz Band, Brian McGee, and Marty Lewis (of The Sons of Ralph). Bush’s latest project is by far the most intoxicating to date, as she introduces her first solo album, done under the alias, Mimi Bell. The album, “You’re Not Loving Me,” incorporates subtle yet clever lyrics, and contagious melodies that have always been a part of her work. Dan Reeves calls the sound “Motown and Nashville in unison.” Producer Seth Kauffman weaves her songs into a unique and timeless soundscape that is big, dreamy, soulful and lo-fi, different than anything we have seen from her to date. The Business will perform a short set prior to the show as well as be Kellin’s backing band. The Business is the best special events band in the area. Every band claims the be the best but this band is a force to be reckoned with. 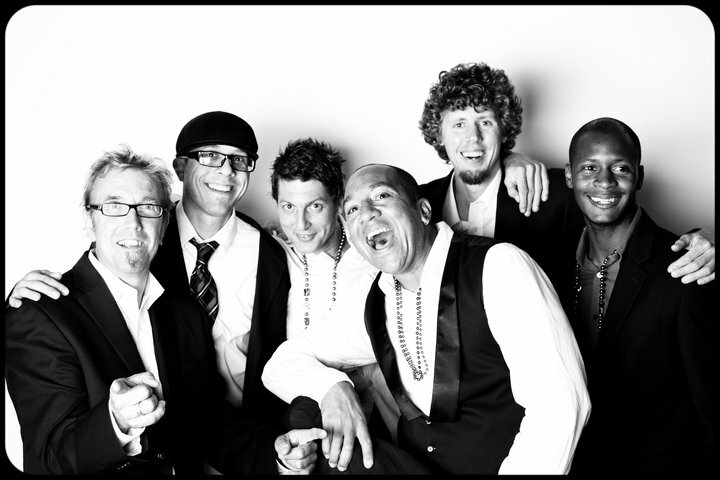 The Business is a dance band primarily with other strengths in vocal and instrumental jazz, blues and classic rock. Zach Blew, a longtime Black Mountain favorite, and folk soul powerhouse, since relocated to Chicago, will be performing as well. “Halo Of Blue” was created with musician/producer Michael Bellar [Art Garfunkle, and Amos Lee] out of Manhattan, NY and was recorded in New York, New Jersey, Connecticut, and Asheville. Kellin and Michael worked non-stop this past year to put out a simple, honest and stripped down recording with echoes of some of her strongest influences: Sam Cooke, Otis Redding, and Nina Simone. 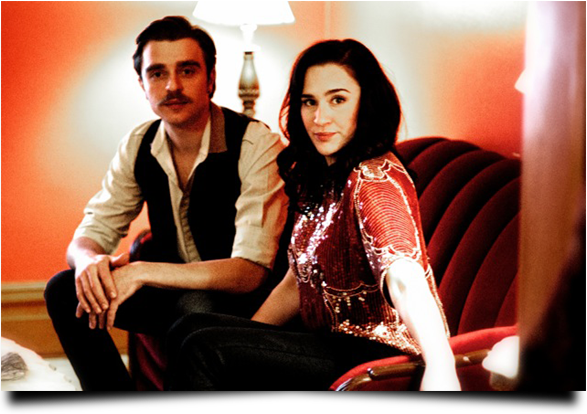 The album has 14 tracks and features cameo’s from some of the greatest musicians and vocalist in North America, including Sarah and Christian Dugas (The Duhks), and Oliver Wood (The Wood Brothers). Elliston goes on to write, “On the new album’s title track, Watson’s band recorded lilting pedal steel guitar parts in one of the studio’s smaller rooms; the guitar offers a delicate complement to Watson’s forceful vocals. The two songs recorded in the “church” studio — the gospel-tinged “Rise” and a smoky, brooding cover of “Sitting on Top of the World” — showcase Watson’s range and confidence. She sounds every bit the singer in her comfort zone, content with recording close to home. Kellin has also been a featured performer on CMT’s Big Break with award winning host and artists Sara Evans stating, “Kellin is a singing beauty, with an amazing voice. There is nothing fake or contrived about her when she performs, she’s just really, really talented, and sings with soul. I love everything about her…” In addition to her CMT appearance, two of Kellin’s songs, “Ship” and “When Is Enough Enough”, touched millions after being aired on two separate episodes of the hugely popular Canadian teen drama, Dregrassi: The Next Generation. This past march, she was asked to play a supporting role in Sag film “Trinity Goodheart” and the director loved one of the tunes on Kellin’s new album and decided to use the song in the film. Here’s a link to the imdb page for it: http://www.imdb.com/title/tt1849899/.